Palacio de Uceda is also known as the Palacio de los Consejos and is located at number 79, Calle Mayor in Madrid, on the opposite side of the road to the Palacio de Abrantes, and a short distance to the west of the Plaza Mayor on the corner of Calle Mayor and Calle de Bailén. The street was formerly known as the Almudena, and is in fact a short distance from Madrid's Almudena Cathedral and is in an area known as Old Madrid. The architect, Francisco de Mora, was responsible for the design of this mansion. Juan Gomez de la Mora also worked on its design, and Captain Alonso Turrill was responsible for carrying out the work. Building work commenced in 1608 and was completed by 1613. Palacio de Uceda is in a baroque style, and is an excellent example of palace architecture of the 17th century in Madrid. The palace displays the arms of the Sandoval family, which are flanked by rampant lions. It was Don Cristobal Gomez Sandoval, son of the Duke of Lerma, who was Duke of Uceda. The building was considered quite ostentatious in its day, perhaps a little bit overly so. Palacio de Uceda stands just above the old Moorish quarter of the city, the Morería. 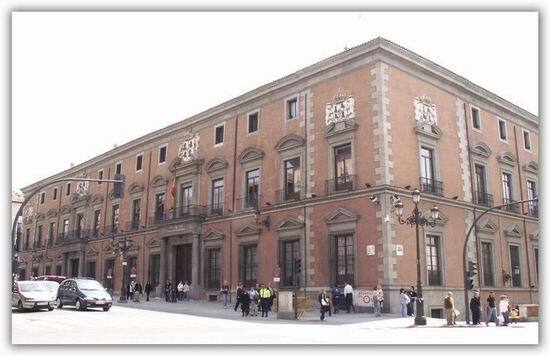 The palace was named after Christopher Gomez de Rojas-Sandoval y de la Cerda, Duke of Uceda I, II Marquis de Cea, V Marquis de Denia, Knight of the Order of Santiago. This illustrious gentleman was many things. Apart from being an aristocrat, he was also a Spanish politician. It is not certain when Christopher Gomez de Rojas-Sandoval was born, as authorities on the subject disagree, but it appears that it was sometime between 1577 and 1581. His place of birth is also uncertain. He married Marian Padilla Manrique in 1597, and they had seven children. He won the confidence of the king and as a consequence he received the title of Duke of Uceda from the king in 1610. The Duke of Uceda was a man of few scruples. He pitted himself against his own father by aligning himself with his father's enemies, gaining the position of king's confessor. However, when Felipe IV came to the throne in 1621 his fortunes changed. He was banished from the court and fined the hefty sum of 20,000 ducats for what he had done. He was granted a royal pardon, but changes in procedure led to him being imprisoned in the prison of Alcalá de Henares, where he eventually died. Felipe V who gained the throne in 1701 decided to move all the offices of the Alcazar palace to Palacio de Uceda. As a result, today it still houses the Capitanía General and the Council of State (Consejo de Estado).